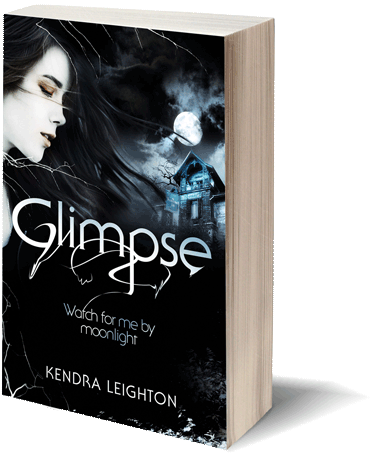 Kit’s job description includes solving crimes – the supernatural kind . . .
Glow, a fae-created drug, is rapidly going viral and the suppliers have to be shut down. Teaming up with Aiden and Dante, Kit follows leads across London, tracking down dealers. They stir up trouble, making themselves a target for the gang they’re trying to stop. In the Otherwhere, Thorn stumbles across a secret that could destroy both the human and Fae worlds. The Veil that separates our human world from the fae realms is weakening and the goddess is dying. And if she dies and the Veil fails, madness and chaos will wreak unstoppable havoc upon both lands. Thorn turns to the only person he knows who’ll be able to help him: Kit. Torn between working the Glow case and her loyalty for the young prince, Kit is propelled headlong into a world of danger. She faces enemies from both the Otherwhere and our world. And as the stakes are raised, the consequence of failure for both Kit and Thorn, and two realms, could be devastating. 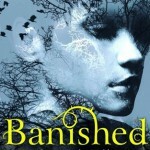 It’s been a bit less than two years since I went to Liz de Jager’s launch for Banished, the first book in YA urban fantasy series The Blackhart Legacy. 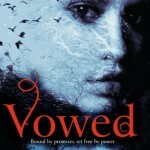 Vowed released in 2014 too, and in just a few days the final book, Judged, officially hits shelves. And lucky me, I got an early read! As you might know, I am not a huge fantasy fan, but this series won me over. The fast pacing, the kickass characters, the flirting and banter, the balance of humour vs. danger — all made me feel like I was watching a great TV show, one that you don’t consciously label as ‘fantasy’. Having said that, it feels clear while reading that Liz de Jager has done her research — the Fae, monsters and real-world weapons feel backed up by real details — it’s just not shoved in your face. 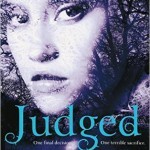 Judged picks up a month after Vowed ended, continuing some plot threads and hurling new problems at Kit, Aiden and Dante. No-one’s heard from Thorn, and Kit and co are dealing with the emotional fallout of the decisions they made in Vowed. The trio have to pull themselves together in order to tackle ever-escalating problems. The direction the plot takes in Judged felt a little more ‘urban’ and a little less ‘fantasy’ at times than the previous two books, though there are still plenty of Fae, monsters and magic. Echoes back to book one are cleverly done, and the big finale (cue even more monsters and magic) is great. 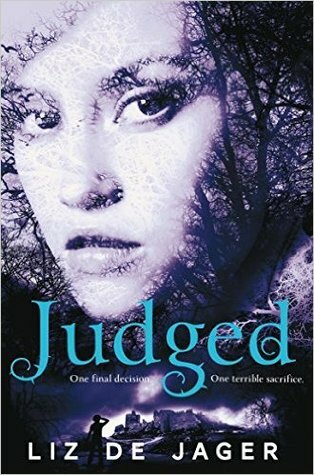 Judged wraps up nicely, and I was left feeling satisfied, with the sense that the characters still have more adventures ahead of them, just without the reader in tow. There are a few things I’m going to miss about this series. Aiden. The banter. The flirting. 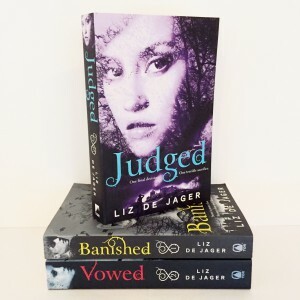 (Liz de Jager is generally awesome at characters and dialogue.) The cool monsters. The descriptions of food. (Liz is awesome at that too.) But what struck me most is the relationship between Kit, her family and friends. I love that Kit’s best friends are two guys — and hot guys at that — and that she loves them and there’s friendly flirting, but that is all. It would have been so easy for the series to enter love triangle territory, but Kit and co. are clear about who everyone fancies, and the lines don’t blur. There are romantic problems to be solved for sure (and the scenes between Aiden and Dante are super-cute), but the general lack of angst felt refreshing, and left room for really strong friendships. I’d like to read more books like that. To find out more, check out my interview with Liz on Author Allsorts here. Then go and buy Judged!